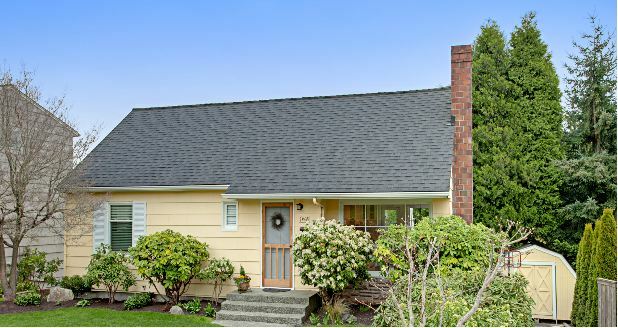 Some of my favorite home makeovers are of smaller ones like this Cape Cod-style house in Seattle because they have to get creative about making the limited amount of space work–and it’s usually on a tight budget. So when readers Brian and Kerri sent me photos of the work they’ve done on theirs, I was impressed. Now it’s lighter and brighter and has more counter space. Believe it or not, there are 5 small bedrooms in this house. They bought the house for $434,000 and just sold it for $600,000, so they feel like all the work they put into it paid off. Many thanks to Brian and Kerri for sharing it with us! 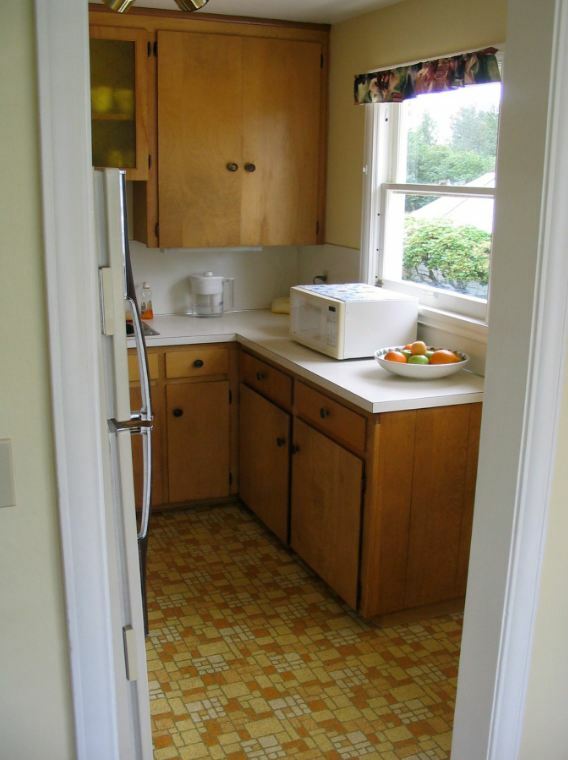 Oh, I remember that kitchen flooring .. my parents had the exact same flooring (same color, even!) in the house I grew up in! Boy, that brings back memories ..
Small house but big price! 🙂 Beautiful job, love it. They did a great job on it – what a cute house! Very nice job! I like their decor. 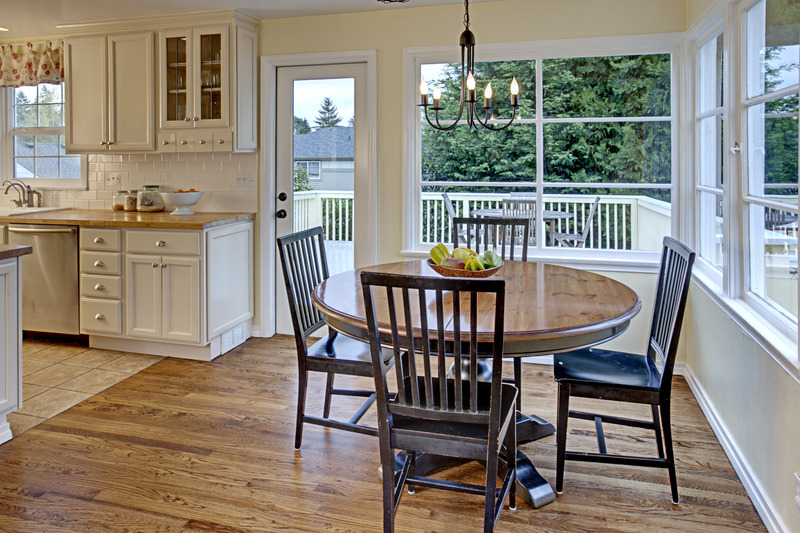 Those wood floors in the dining area look new, so I definitely would have carried them through the whole kitchen. I absolutely am in love with the floors in the dining and living room. I love this house, so quaint! looks great but the price, wow! where is the house located? Yeah, I live in the Northwest and sometimes when I see the prices on Midwest homes I laugh out loud. And then I start to cry a little. I Love these updates! Gives me some ideas for my 1970’s home. 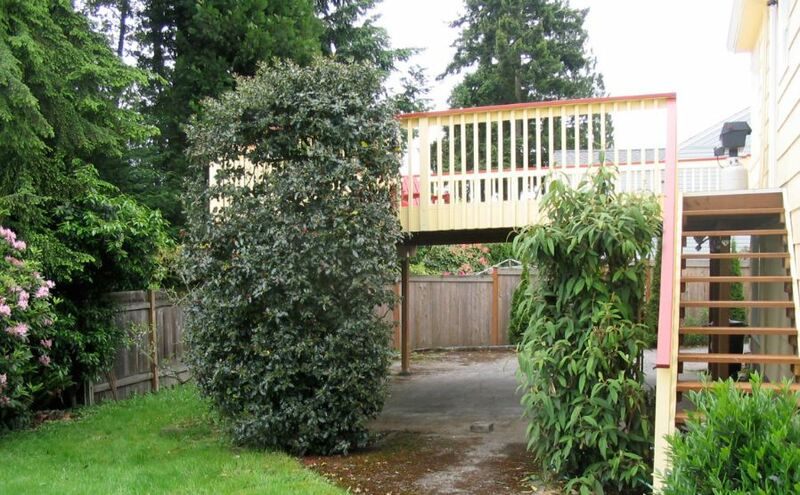 I live in the Seattle area and believe me this is a normal size home for that price. The kitchen is great! 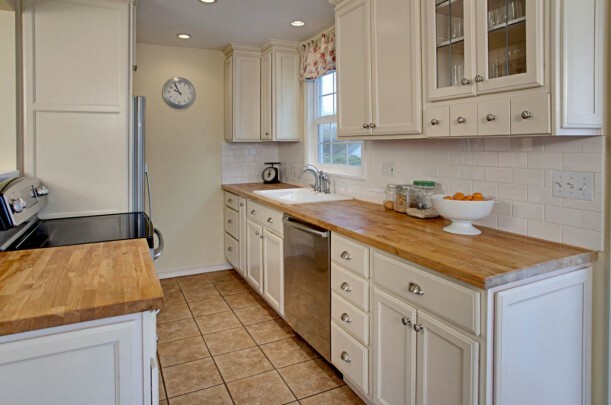 When I saw the before picture, I was doubtful as to how much I would like the new kitchen, but I love the butcher block and, although I’m usually not one for white cabinets, they look great with the butcher block counters. I also love the dining area and the corner wall of windows. All of those windows really open the room up and make a small space seem much bigger. thanks Justin! Kerri cried a lot when we first bought the house because of the kitchen. This kitchen was still a huge issue for potential buyers though! Don’t let the wide angle lens fool you…it was still quite quaint! Oh, for sure. I’ve a 1950’s cape and, although bigger than most cape cod homes I’ve seen from the era, the kitchen is still smaller than I’d like. With most kitchens from that period, the best you can do is make use of all available space (unless you have the budget to do a complete gut of the house…) and it definitely appears you’ve done so. Again, fantastic job. What a cute house! 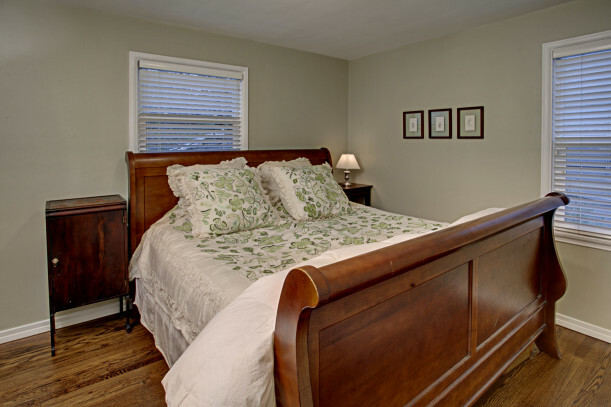 Great remodel…….and I love the painted floor in the kids bedroom. They did a great job! 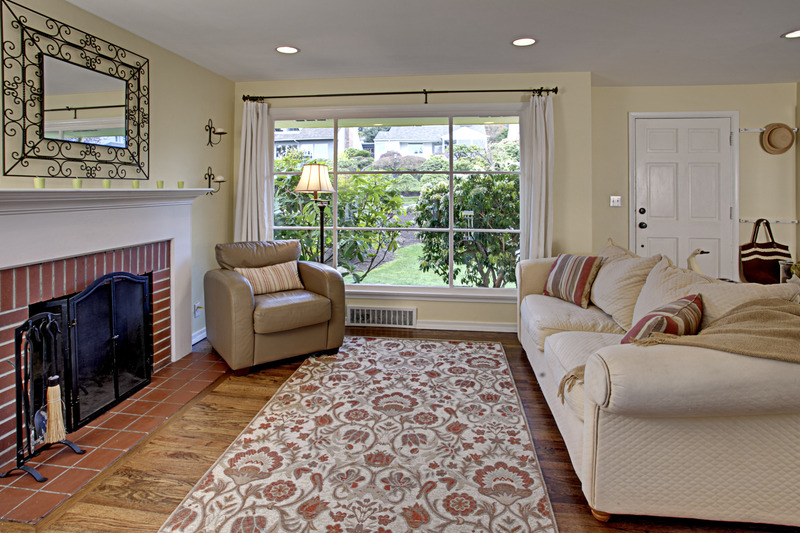 Love that HUGE window in the living room and those floors are beautiful! Unless they were lucky enough to do all the work themselves and get the materials at cost, I can’t imagine that selling at $600,00 would have given them all that much of a profit. I’ll guess their renovations were in the $50,000 range, give or take. Also, don’t forget, the seller pays the real estate commission, at @5%, that’s $30,000, (most state are 6%) then there’s closing costs, and paying off the mortgage. Not that they shouldn’t be thrilled to get $600,000, that’s great, but numbers can deceive and it’s not always a large take away when so much work is done. I’m curious: were they re-assessed by the town after so much work – i.e. did their property taxes increase alot? 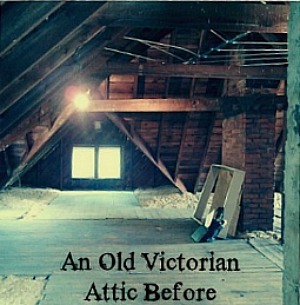 That’s the sad downside of major renovations – great until the assessor comes a’knocking! You hit the nail on the head! The renovations were quite a bit higher even though we did most of the work ourselves! Wow, really cute house. 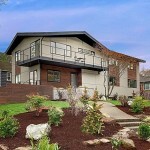 As a current Seattleite and recent first time homebuyer, $600,000 is really steep for a house that size, even in Seattle! 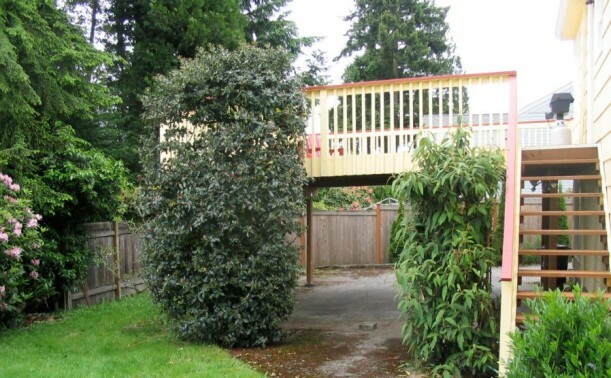 It must be in a super prime location like Capitol Hill or near downtown for that price. They did a really great job flipping that house though, I especially like how open the kitchen is now, and the little cubby under the stairs in the basement. 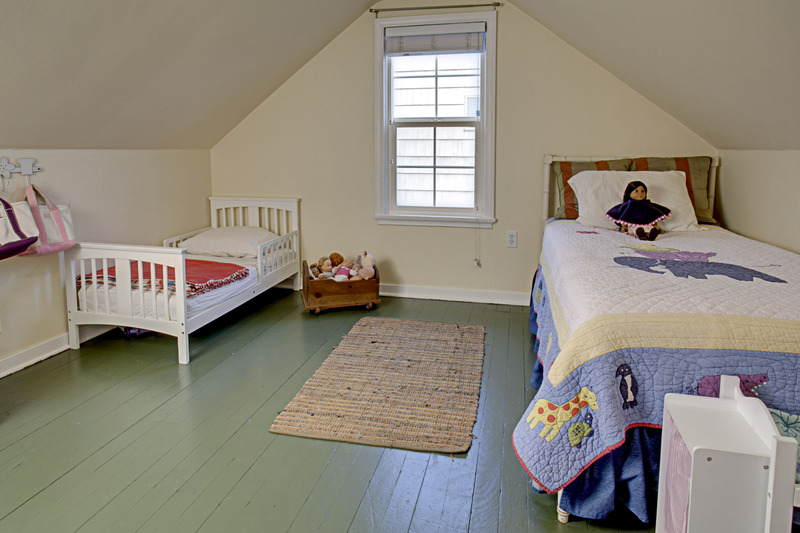 They did a wonderful job – I especially love the painted wood floors in the attic kids room! Very nicely done! 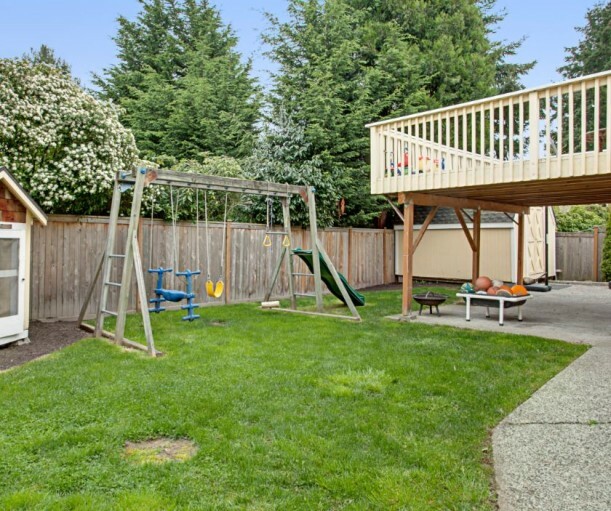 But I agree, the price seems steep – I wonder what the house’s square footage is? Hey, it sold though! great observation! We should have brought the wood into the kitchen. Truth be known, we refinished the existing hardwood floors right before the sell of our home. They were in awful condition thanks in part to our four kiddos who used the indoors for their “outdoor” tricycles etc. quite a bit during the dreary winter days of Seattle. ShabbyChick-my thoughts exactly when I saw the kitchen…. They did a terrific job on b-ment. I gotta say, I miss the red roof, but I really love what they did with the rest of the house. I love seeing people get creative while trying to work within the footprint of their houses (and I know I’m a complete hypocrite for saying that as I am actively increasing mine). we often said that this was the color of McDonalds…therefore the red roof had to go! Oh, I love the new roof .. the color softens the house. 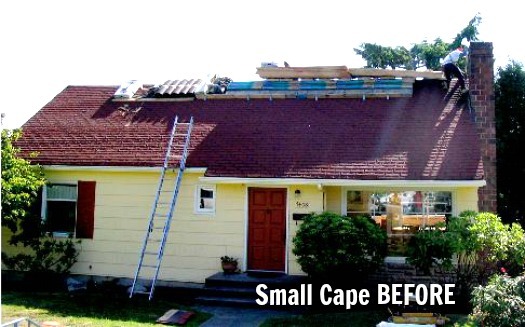 My eyes went directly to the red roof in the ‘before’ picture! Same with the new color of the front door and shutters .. great job! The renos are lovely, but why oh why did they have the kitchen floor meet the dining room floor smack in the middle under a kitchen cabinet??? That looks totally bizarre. I’d have done wood the entire way, but if not I’d at least have carried the tile under the entire cabinet and THEN met it up with the wood. Good job but the decorating is so impersonal and dull. Well, it was staged to sell. These were the listing photos. And it worked! Cute house! I love how the change in roof color makes the chimney stand out more, it kind of got lost with the old color. It is amazing the price differences from one area to the next. I don’t think there is even ONE house within our town with an asking price of $600,000, probably even the whole county. We max out around $200,000 or so here. the basement cost of $20k because we did this ourselves! We had a quote for $80k by a contractor! Brian, I *love* the basement! Having refinished a basement space, I think y’all did a fantastic job! I love the staircase treatment (the U-turn was a great idea! )and the way you partially opened it up — the partial wall really makes that space feel much more like a real “room” and less of a former basement space. 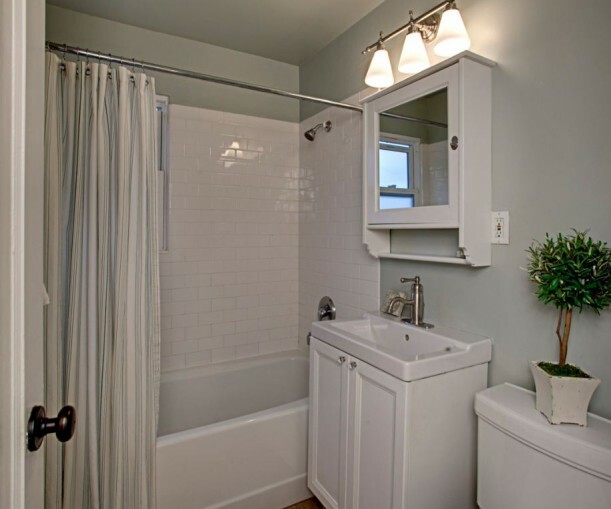 And — great choice on color; love the sage green walls! It’s amazing what you can do when you have money! I was thinking the very same thought – nothing that twenty thousand dollars plus can’t fix:) But the hard work paid off for them. 600,000 for this house is just totally absurd by the way . . . . I’d move out of the area first! adorable! my sister in law lives in a house nearly identical to this one in seattle…in fact, for a split second i thought it was actually theirs. they recently bought it after it had been renovated. could be the same neighborhood, though. do you happen to know what neighborhood it’s in? just as jen said in a previous comment, for the size, that price suggests it must be in quite a prime spot! well i’m impressed! love their changes … especially that cute kitchen! Love this! What an amazing job they did! The kitchen counter tops are fantastic. If I see one more kitchen with granite countertops (and stainless steel appliances w/travertine floor tile) I’ll shoot myself. The countertops make the kitchen seem warm and “homey”. I love the basement too! The whole thing is an excellent use of space. Where the heck did they fit 5 bedrooms?? I totally agree with you! Polished granite countertops and stainless steel appliances seem so trendy to me. Everyone has them now. P.S. I would have loved to have seen pics of the 5 bedrooms! red oak hardwoods with a darker stain. we finished it with a water based stain to not have to deal with the toxic smell. Great job! Absolutely adore the painted floor in the one bedroom–too cute! I would have definitely ran the hardwoods into the galley kitchen. I love the green they painted the basement! Anyone have any paint color suggestions for a great paint with just ‘a touch of grey – kind of dusty green’ color close to what they used in the basement? I’ve been searching for months! the paint is from the Devine paint company and it is the color called blade. Its under their trend proof colors. My search for the perfect green paint has ended!! Thank you for taking the time to reply! Thank you for sharing your renovation with us. It was definitely a labor of love and because of your efforts and creativity, a family now has a home. thank you so much and I am glad to help you in your perfect paint process! It is darling and that kitchen absolutely makes the house! What a cute house. Brian and Kerri did such a great job with the renovations. I love everything about this house. Love the off-white shade of the kitchen cabinets! Is it paint or were they purchased in this finish? They were purchased with a “butternut” finish… Which meant a light cream color direct from the cabinet maker! I’m spacing the name of the cabinet maker though! Thanks for taking the time to find the link for me, Brian! Can’t wait to check these out in person at Home Depot! Great remodel! Love the new kitchen, but wish they brought the hardwood in to the kitchen. My eye caught it immediately, especially since the cabinet is straddling both floors. Otherwise, a great job and it paid of for them! Would love to do a remodel like this, then sell. Flip that house! haha. Well done! The house is beautiful. My favourite part is the kitchen and especially the luminous dining area with the wrap around windows. In my next kitchen I’ll have butcher block countertops and white cupboards too, they add warmth and cosiness. I currently have marble countertops which I hate with a passion. Also, great job in the basement! I love the paint colour there. Great renovation. Clean and bright and perfect for a Cape. 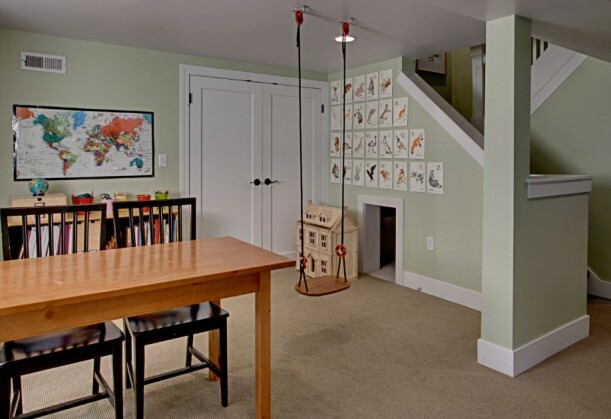 Love all of the windows in the dining area, the kids’ room and the basement (especially the swing!). It’s obvious that a lot of careful planning went into it. I love a small home! So much easier to add character on a smaller budget. Was the square footage mentioned? In Upstate NY this house would sell for about $145,000 with the renovations and probably $90,000-110,000 in the before state. I guess I will not be moving to Seattle anytime soon. I think it was around 2,300 sq ft. Brian can correct me if I’m wrong about that. for the record, the house is 2360 sq ft. When we bought it, there were only 1600 sq ft. since the basement was not finished. Yes, thank you. I as guessing 1800 ft from the outside and I didn’t consider the basement. OMG!! This is my nephew and wife’s old home!! When I first looked at the photos I thought, “Wow, that sure looks like Brian and Kerri’s home”…..Doggone!! It is!! You didn’t get the memo that we are pretty much famous now? Or at least our old home is!! I guess we will have to stay tuned for another project here in Bend, Oregon! So pretty! I love a cape, and love those painted floors! Great job.. Loved the house, but have to question..WHY di they not have the SAME floor going thru0out in the kitchen/dining are? Looks really odd, and espicially with the dining floor starting under one of the kitchen cabinets. I love the sink shown in the updated bath. Where was it purchased? Thanks! Believe it or not…the sink was purchased at Ikea. We had a small space and wanted something that would not overcrowd the area. We spent more on the faucet than the sink and cabinet! The following link is the sink model…. Love the painted floors in the kid’s bedroom and I want that playroom for my boys! 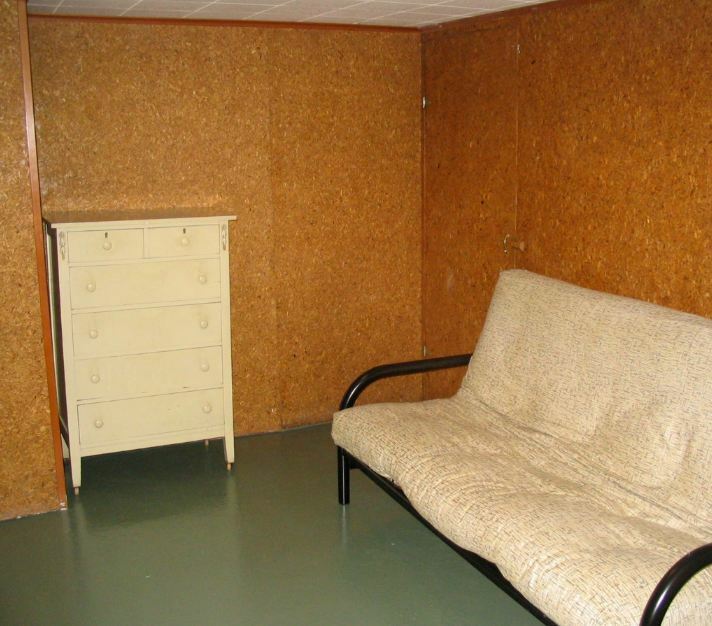 Do you know how they got rid of the corkboard in the basement? I have a room that has 3 walls of cork and it looks like it may have been put up with an adhesive such as liquid nails (40 years of age seems to not have made a difference, it’s still on there tight). I’m desperate for a solution! Our solution was not be an easy one… as we had to rip everything out!! This did have some advantages though as we were able to easily rewire the basement and reconfigure the living space. Wish I had a better solution for you! Great project. Thanks for sharing. If you recall, I would appreciate knowing the stain you used on the dining room floor. Love it. Thanks. The wood floor finish was a Medium Brown by Dura Seal with 3 coats of non-toxic commercial grade finish (PALX96 satin). This house is so beautiful. I love it! Why’d they sell it,!? This is like my dream home: comfy, charming and welcoming, light and airy…it’s perfect for me! I love seeing readers’ remodels, especially when they do the design and actual work themselves! I can’t relate to those “magazine” remodels in which extremely wealthy people pay designers, architects and contractors to do their renovations for them. I have been doing my own whole-house renovation for the last 6 years and it is such an incredible, confidence-inspiring learning opportunity. Kudos to Brian and Kerri!